Ever thought of growing corn? If you did, you must have read many guides on how to do it. 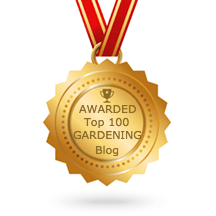 You need long, frost-free season and the plant is picky about the soil, but it all pays off. I am here today to teach you WHEN to harvest corn. Enjoy! When is your corn ready for picking? How to store freshly picked corn? Many people decide to grow their own, organic corn because it tastes much better than the one you can get at any local grocery store. However, when it comes to picking it, there is no actual season, or time-date when the plant will be ready for harvesting and hopping right onto your dinner table. If you want to know when to harvest corn, you have pay attention to it and look for certain signs. You should observe it and be ready to feel the kernels with your hands if necessary. Often, people make a mistake of leaving their corn unharvested for too long, which leads to starchy and hard kernels that lose their characteristic sweet taste. The only way to get a high-quality crop is learning how to catch that sweet spot between unripe and overripe grain and harvest the corn at the right moment. This harvest time gap passes quickly for the most varieties, except for the supersweets, which means you have to be ready. Wait for the first silk to appear. Approximately 20 days after that moment, you can expect your corn to become ripe. When harvest time comes, the silk on top of the corn will turn brown, but the husks will remain green. If the time is right, silk should feel very dry, practically peeling off in your hand. You will quickly recognize unripe ears, as their silk feel softs, damp, and it is usually red. Look for ears. Each stalk should have at least one, near the top. Ripen ear should look fatter than the others, and you will notice it’s leaning away from the stalk, at almost 90-degree angle. If growing conditions are right, there might be another ear further down the stalk. However, lower ears are often smaller, and they mature about ten days later than the first one. Feel the end of an ear with your hand. Rounded or blunt ends rather than pointy ones, will tell you that your corn is ready for harvesting. The last test you should perform is checking if your corn is in the so-called “milk stage.” Open a husk, take a pointy tool or use your thumb to puncture a kernel. Look for milky liquid. If the fluid is clear like water, your corn is still not ready for harvesting. On the other hand, if no liquid appears, it is a reliable sign that you waited too long. However, you should be aware that even though this last test is fairly sure, it comes with a particular risk. If you end up opening an immature ear, it will become more susceptible to insect and bird attacks as it continues to grow. My recommendation is - don't open the husk if you don’t have to. You don’t have to worry, after a few crops, you will learn how to accurately assess ripeness buy merely looking at your corn and touching it. I have two additional advice, that might seem contradictory at first, but I will explain everything. First one says: If it is possible, harvest corn as close to the time you're going to use or eat it. The second one says: Your corn will be the best if you harvest it early in the morning. Do you know anyone who eats corn for early breakfast? I don’t think so. Which means, there must be some way to preserve corn’s sweetness at least for some time, but first things first. Indeed, corn is the best if you harvest it during the morning. However, remember harvesting the whole crop at once will do no good. You need to pick each ear as it peaks if you want to get the best out of it. The natural conversion of sugar into starch speeds up when you harvest. As soon as you pick an ear of corn, the sugars inside of it will start to change into carbohydrates. Unfortunately, in not more than 24 hours, most varieties of corn manage to convert more than half of their sugar content to starch. So, the rule of thumb is to pick only as much as you can eat in a day, at least at the beginning of harvesting time, but also make sure to harvest the entire crop while it's in the milky stage. The best and easiest way to pick the ears is by grasping them firmly and pulling them down, then performing another twist and pull. This should do the job, as they usually come off the stalk easily. If you are not one of the small percentage of people who prefer to eat corn for breakfast, you should be aware that the loss of sugar happens much slower at lower temperatures. This means, refrigerating your corn is the answer if you want to preserve its mildly sweet flavor. If you are on a picnic, or you simply don’t have a refrigerator nearby, keep the freshly picked corn ears in single layers, instead of stacking them. Tight husks make corn overheat, which speeds up the conversion process, so make sure to give each ear as much breathing space as possible. Covering them with a damp cloth is also a good idea. As I have already mentioned, putting freshly picked ears in the refrigerator while they wait to be used is the best option you have. You can store them this way for one week. However, if you plan on storing them for a more extended period of time, let’s say a few months or grinding your own cornmeal you have to give it time to harden completely. This means you will have to wait until each ear completes the carbohydrate production cycle. At this point, the corn will contain heavy starch, and it will be too hard to bite, but it will stay usable for many months. This way you can freeze it on the cob, or cut it off, whichever you find to be more convenient. Now, you have all of the information you need for determining the right moment for corn harvesting. 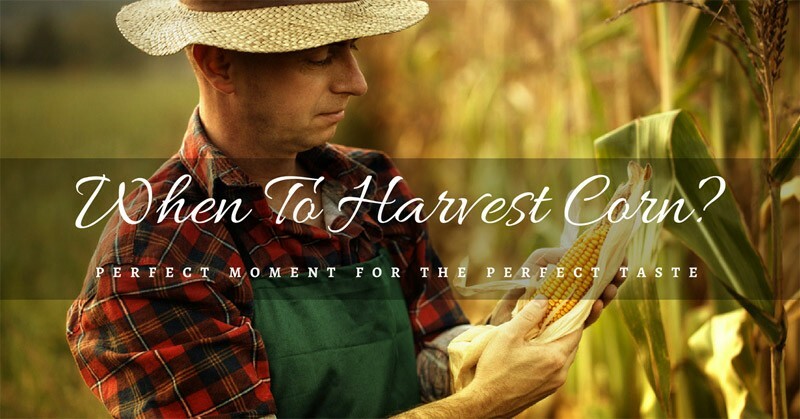 You might make a few mistakes before you learn to assess the ripeness correctly, but don’t worry – a few ears wasted are a small price to pay for mastering the art or producing the best, tastiest corn ever. As soon as you pick a first few years, your harvesting skills will improve, and you won’t have any problem catching that small time gap that seems impossibly tight and unreachable at this point. May all of your corns be milky and sweet.